We’ve been serving the Jersey Shore since 1981… What can we do for you? Our NATE certified technicians provide high quality service and maintenance on most any residential system. 35+ years of local expertise means we make replacing your heating equipment easy and efficient. 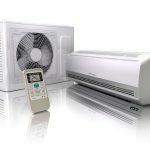 Our expertise in cooling products will help guide you to the best solution for your home and family. 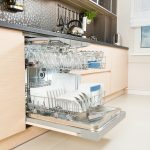 We provide many appliances for your home including washers, refrigerators, ovens and more. From standard tanks to new and interesting alternatives, we have the products and answers. Our experts can install air filters, humidifiers and/or thermostats best suited to your priorities. Ready to start brushing up on your grill master skills? Make sure your BBQ grill is in good condition and ready to operate safely. If it’s time for an upgrade, we’ve got you covered. 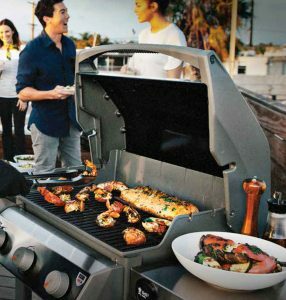 Jersey Coast Appliance proudly offers quality grills manufactured by Weber, DCS and Lynx and we are also an authorized parts depot for Weber. Novice or seasoned outdoor chef, we can help you choose the right grill for your needs and get you started on a successful and delicious grilling season! At Jersey Coast Appliance, customer satisfaction is one of our guiding principles. Our job isn’t finished until you’re happy with it. We’ve been providing our customers with incredible service since 1981. Our focus on high efficiency products and applications since day one provides a unique perspective in assessing new high efficiency systems. We take all major credit cards and offer financing options as well! If another company says you need work, we’ll provide you with a second opinion at no cost! What do you have to lose? Check Out Our End of Year Savings Event! Now until January 2, 2019. Special Deals on Whirlpool appliances December 27, 2018 until January 7, 2019. Each year, Big Brothers Big Sisters of Ocean County NJ raises funds in part through an Annual Appeal. Our BBBS of Ocean County Mentoring Works Annual Appeal 2016 has begun. We invite you to visit our website and see how MENTORING WORKS in Ocean County. Thank you for helping us provide children facing adversity with strong and enduring, professionally supported one-to-one relationships that change their lives for the better, forever. When my refrigerator stopped working, I called Jersey Coast Appliance. They were here the next day and did a great job for a fair price. I would not hesitate to call them again in the future. Jersey Coast Appliance are the easiest people to deal with, they give you a two hour window and arrive within that window, they are knowledgeable and are trained on all the high end appliances. I would recommend them to anyone! Great Customer Service. Very knowledgeable and helpful with even the little things. Very happy I found them!! Bought all kitchen appliances there. Stay away from big box and get this great service! Been dealing with Jersey Coast Appliance for over 18 years. They have been there anytime that I needed them. They are the best! A service technician from Jersey Coast Appliance came to my home to service my frontloading washer. It was just delivered a week before. I love it! By getting to know the machine I faithfully read my manual to make sure I am doing it right. This is all new to me. I called regarding the tray where the detergent and water softener goes. Manual even says when in doubt call. The technician who came to my home was absolutely the best Service Technician ever. He tested the machine, assured me the tray was fine and answered all of my questions and I had quite a few. He made me feel much more at ease with the new frontloading washer and assured me all was well. 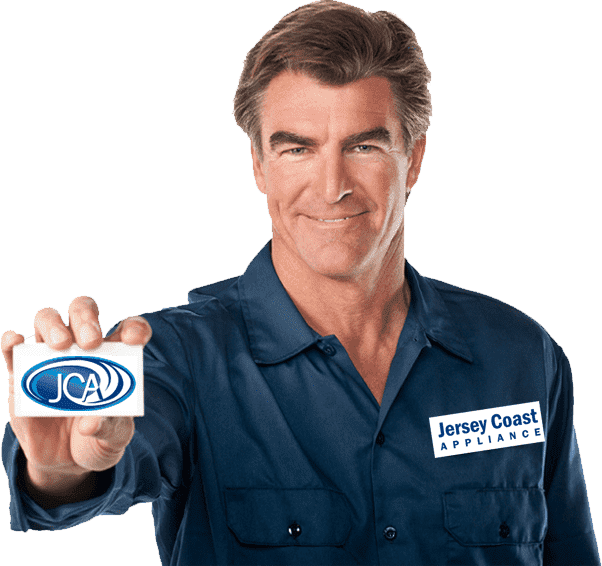 This is the first time that I have bought an appliance from Jersey Coast Appliance and I will buy again when the need for new appliance or servicing what I already have. I highly recommend Jersey Coast Appliance to my friends.